I don’t know about you but for me, fall is more than just a season; it’s a feeling. A warm and cozy feeling that you get every time you step out into the crisp cool air and see the leaves changing color or smell the wafting scents of pumpkin and cinnamon. One that makes you want to throw on a sweater and curl up with some hot cocoa in front of the fire. And guess what? 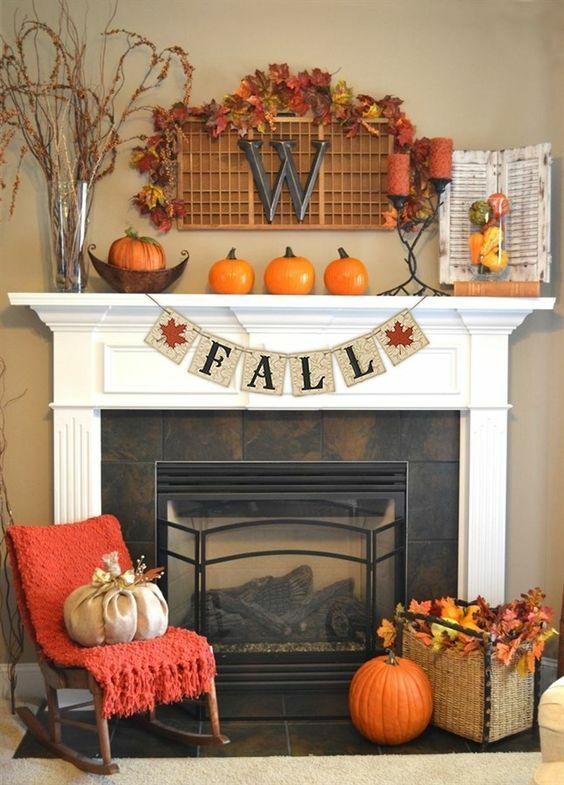 You can get that feeling inside your home too with our Fun & Fresh Fall Decorations DIY Guide. 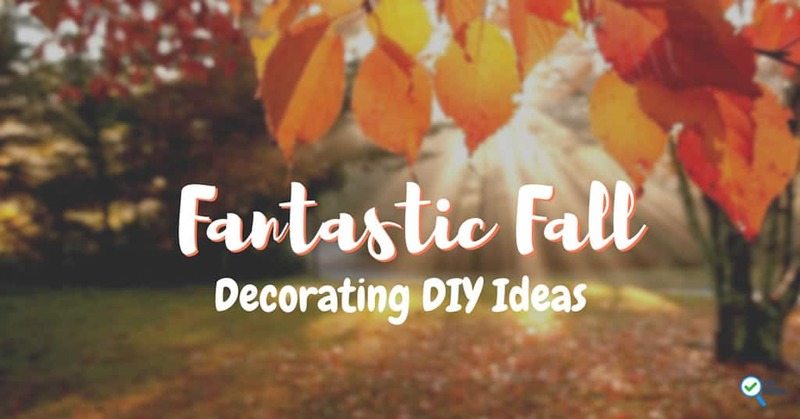 From simple, inexpensive ideas to decor tips and pumpkin collages we will show you all the ways you can transform your home into a fall wonderland! 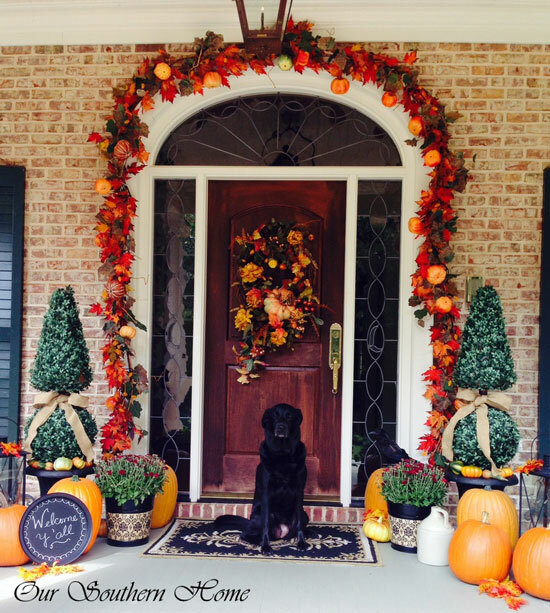 3 Fall Themes: Leaves, Pumpkins, and Gourds, Oh My! Like every other season, fall has its own unique colors, textures, and scents that you can incorporate into every room of your house. Knowing what hues to use and where can help you change the look and feel of your home without having to break the bank. Before we share some DIY ideas, check out our style guide and tips to see where and how you can add a little fall to your life. Signature Colors: rust, brown, tan, orange, gold. Fall weather may be cool, but it evokes warm and fuzzy feelings, which are reflected in its signature colors. Warm tones, like the ones you find in the brown and rust families, work best to create that inviting, homey feeling. Sure, you can run out and buy all new furniture if you have an all-white couch, but you don’t have to. Simple changes, like adding a tan throw across it or using pumpkin-colored throw pillows, can make that white couch work in any season. Incorporate fall colors into every room, using accessories like gold tins in the kitchen and pumpkin rugs in the hall. A little can go a long way. Signature Scents: vanilla, pumpkin, cinnamon, brown sugar, apple. 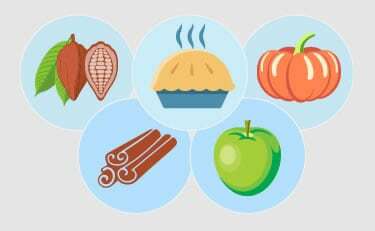 Nothing says fall like the smell of a warm apple pie, so why not have your whole house smell like it? Sure, you could bake a pie, but if you don’t have the time or energy fake it by placing fall scented candles around your house. You could even use a scented insert in your fireplace to really get that smell throughout the house. Oh, and as a bonus, add a few in the bathroom to mask any not so fall scents! And have fun with it, maybe do pumpkin in one room and vanilla in another. Signature Fabrics: flannel, cable knit, corduroy, wool, faux-furs. When you think autumn you think of snuggling up on the couch or burrowing in a soft, comfy sweater. And you can recreate that by using a blend of different fabrics in your home. Play with textures to create a space that makes friends and families want to stay for a while (but not too long). There are lots of ways to do this, from adding a fuzzy, plush cashmere (real or fake) rug to your living room to throwing corduroy slipcovers over your dining room chairs. These fabrics have a depth to them and feel soft and soothing against the skin, giving off a comfy, homey vibe. 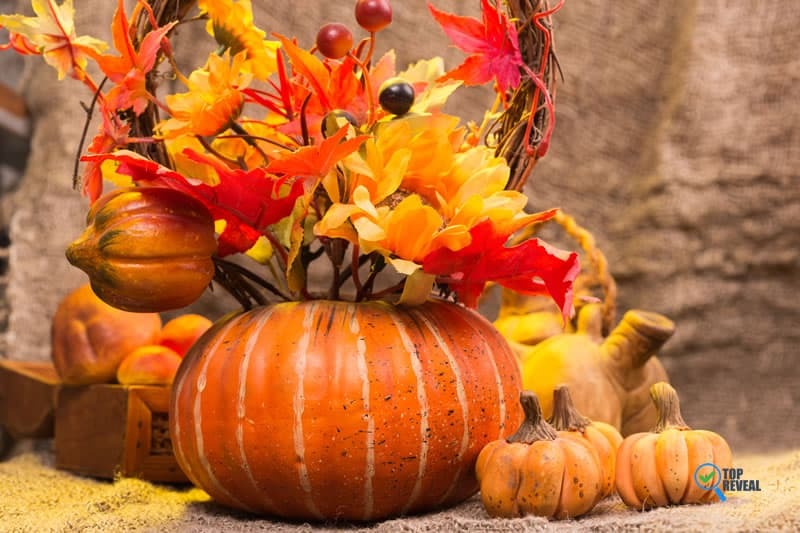 Fall Themes: Leaves, Pumpkins, and Gourds, Oh My! 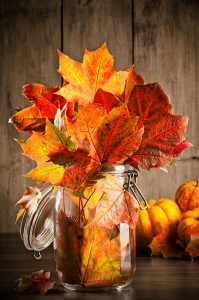 While you can use traditional pieces in varying autumn shades and textures, for a real wow factor try decorating with a specific fall theme, such as leaves, pumpkins, and other natural elements. Just be careful; there’s a thin line between ambiance and overkill so as with most things, less is usually more. 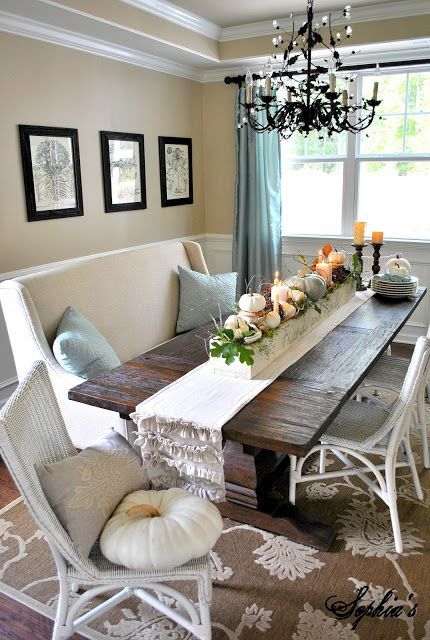 Here’s a rundown of popular fall themes and how to use them in your home. Halloween is one of the main fall holidays, so it’s no surprise that pumpkins are often used as decorative pieces. For us, they are great when done right, which means playing with varying colors. For instance, white pumpkins lend an elegant air to a dining room table or front porch. And traditional orange ones that look a bit worn give a nice rustic feel to a hearth. The idea is to not overwhelm a space with too many pumpkins and use them as subtle accents; unless you have kids and want a real Halloween theme. 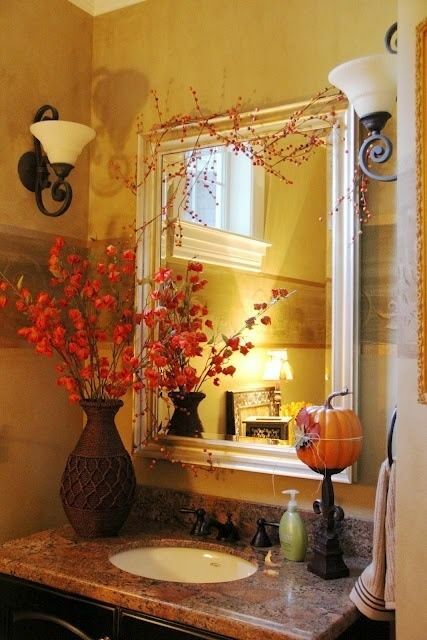 Leaves and branches are another clever way to give your house a homely autumn touch that’s not too overpowering. And the great thing about leaves, twigs and other natural elements is they can be used as is or manipulated into varying shapes and colors. For example, twigs can be twisted into a wreath for your front door, or you can spray paint leaves and write names on them to be used as a place card holders when you have a party. When used right, they give off a rustic vibe that is 100% fall. Like pumpkins, gourds are a great element for tables and fireplace mantles, with the added advantage that they come in a variety of colors, sizes, and textures. Many gourds have gradient colored bumps, adding a layer of depth to them and making them a great centerpiece. Group a few together on a coffee or kitchen table for a unique focal point. Ok, so now that you see all the ways fall can invade your home, we’ll share some great project ideas with you. They range from simple to outrageous and cover every room in your home, so you’re sure to find something that works with your house and decor. If you wanna go all out and make a statement, fill your front porch with varying objects like in this picture for a classy but fun style. 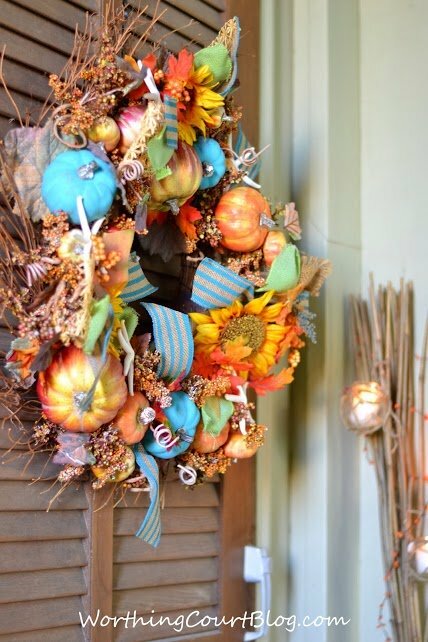 The garland made of leaves, along with the decorative pumpkins and wreath scream fall and will make people want to stop in just to say hi- so be sure to have some hot cider and an apple pie waiting! See more ideas from Front Porch Ideas and More. 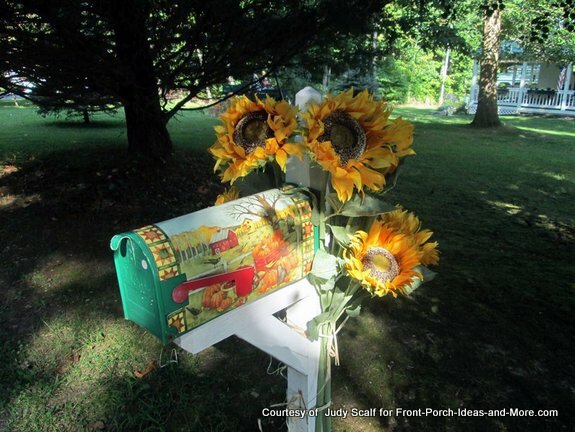 If you want to say fall, a cute mailbox cover like this one will do the trick. 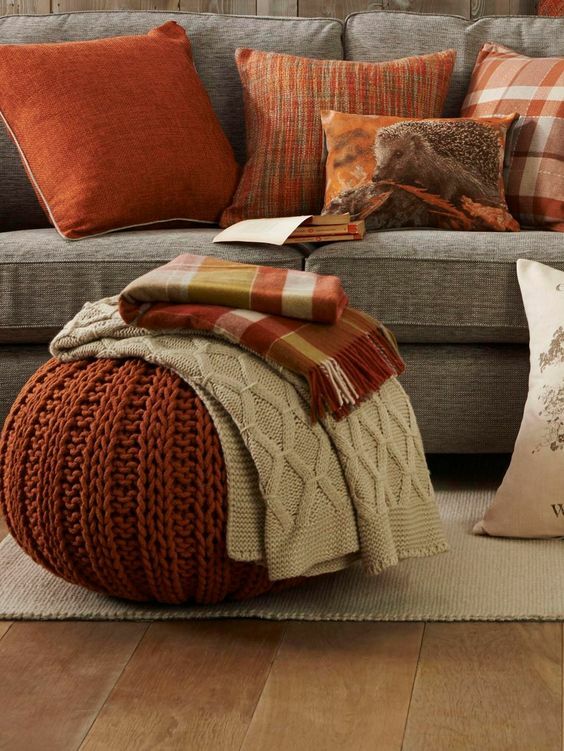 You can choose plaid, scarecrows, leaves, or other motifs to give it a cool fall look. Personally, I like to make my mailbox a Halloween theme and have fun with it, but whimsical or understated, there’s a lot you can do. Every room in your home, from the front hall to the bathroom can be updated and given a fall feel, you just have to be a bit creative; and if your not that’s okay because we have some great ideas here for you! With a few accent pieces, you can make your guests feel all warm and cozy as soon as they step through the front door. Strategically placed pumpkins, rustic blankets, and fall signs set the tone for the rest of the house. And since a lot of pieces are natural elements, like leaves, they tend to match any decor. If you love Halloween but want a more sophisticated look, this kitschy sign and accents will do the trick. 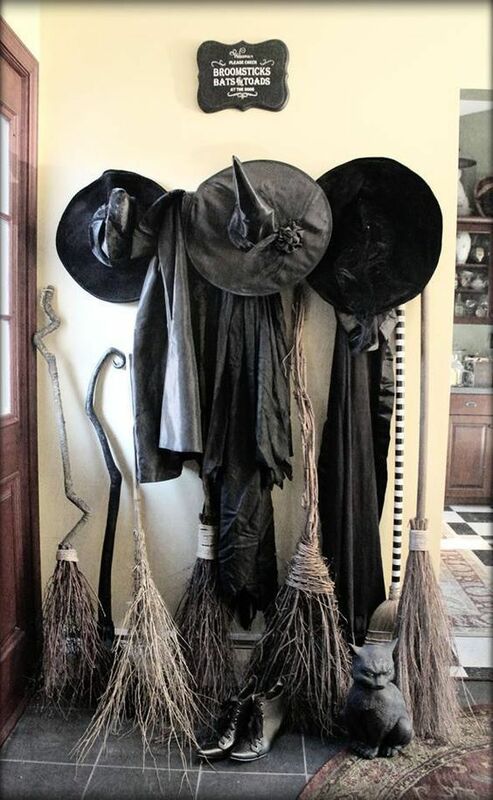 The brooms and witches hats give off a fun but polished vibe that guests will get a kick out of! If you have a neutral living room, all you need are some colorful throw pillows in shades of pumpkin to give it an autumn look. Try to use soft, plush fabrics like cable knit or flannel and if you can, get a fun piece like the pumpkin shaped ottoman above; it’s sure to make friends and family want to put up their feet and stay a while. 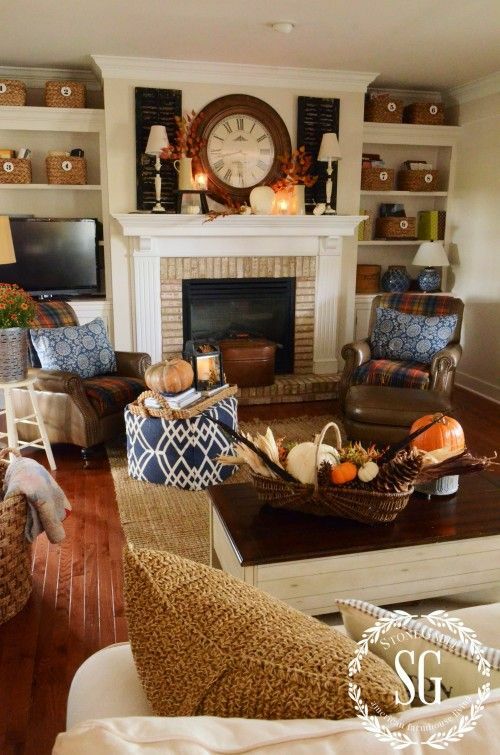 You can create a fall feel without changing any of your existing furniture; just gather some pumpkins, wicker baskets, woven boxes and some leaves for vases and make your living room all about fall. 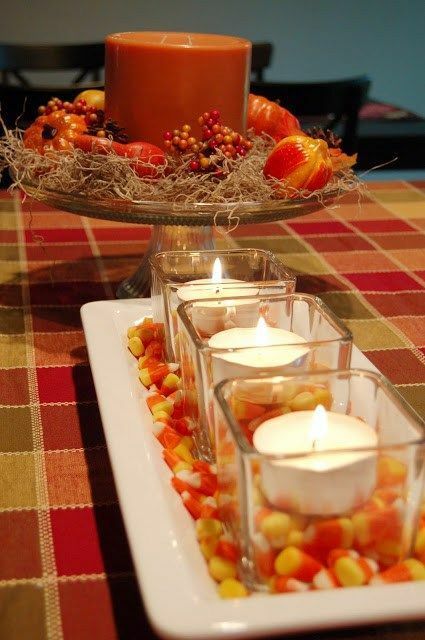 Put acorns and twigs in a basket on the coffee table and dress up your mantle with candles in autumn scents for a quick and inexpensive transformation. Your fireplace is already the focal point of the room, so fall-ify it with interesting and rustic items; think pumpkin spice candles on a wrought iron candle holder, autumn leaves in the hearth and a chic sign to drape along the mantle. Viola, fall is here! Via Pinterest. 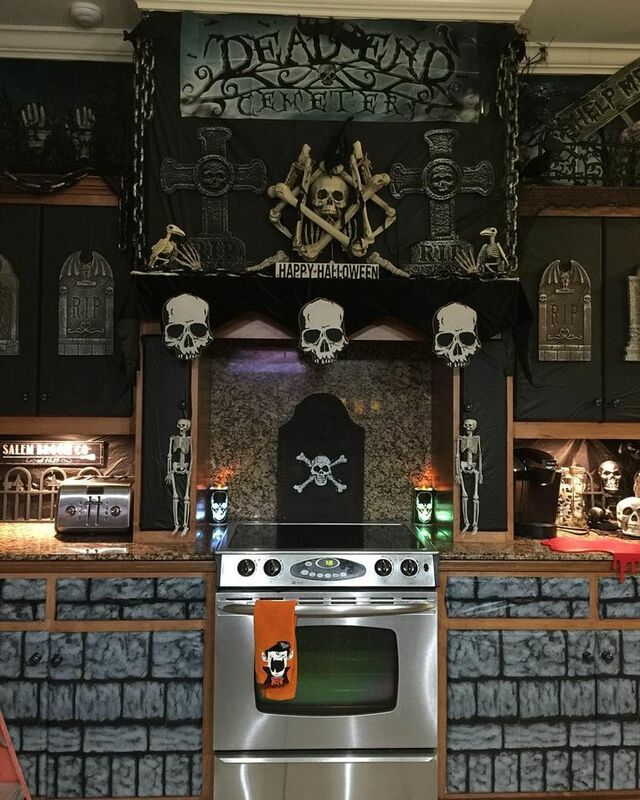 If you have kids or are a kid at heart, this spooky but impressive kitchen scene is pure brilliance. Yes, it takes some time and a bit of work, but the payoff is more than worth it. Make your dining room a show-stopper by going all white in your decorations. 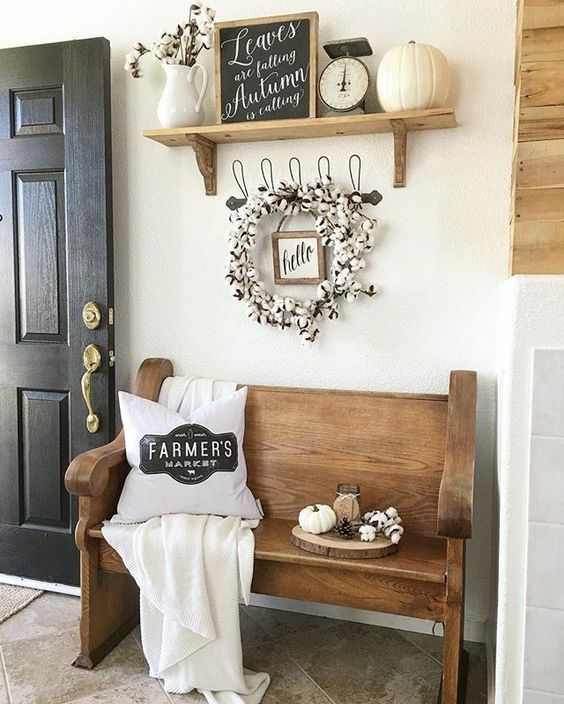 Set a white table runner and farm trough and fill it with white pumpkins, gourds and other assorted nuetral branches for an elevated country farm look. Via DigsDigs. Fall should be fun, so play with Halloween-inspired colors to create a stunning centerpiece that those young and old will admire. 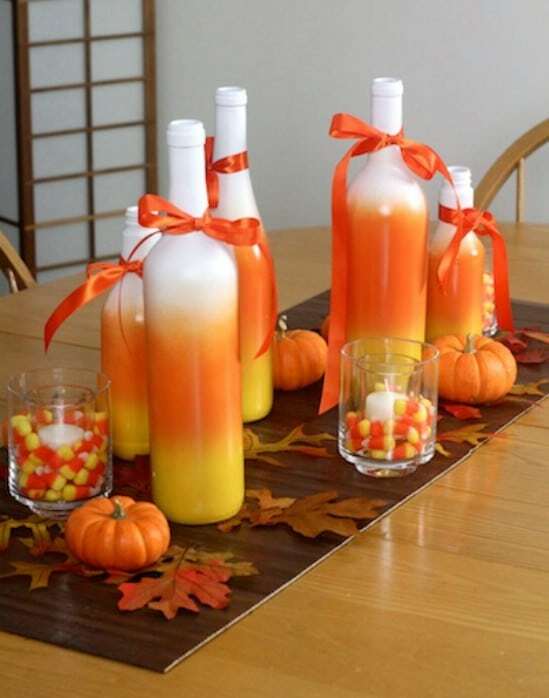 Gradiate yellows and oranges on milk bottle or mason jars for ecclectic holders or use candy corn in clear glasses; just make sure the kids don’t eat them! 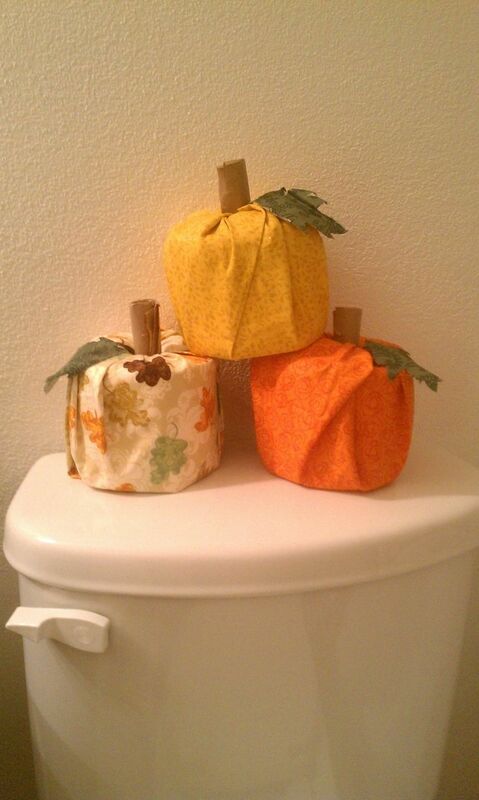 These cute wraps are an easy way to add a touch of fall to your bathroom and store extra rolls; stack them on shelves or behind the toilet for a cute touch. 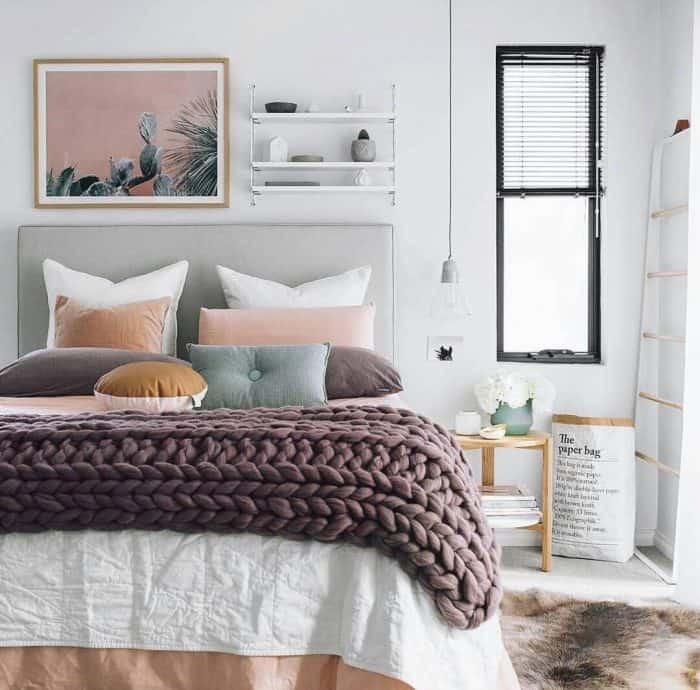 A great way to give your bedroom a touch of fall is with a chunky throw in a brown or taupe; it instantly says comfy and cozy. Add a few candles to set the mood. Feedpuzzle. I hope my Fun & Fresh Fall DIY Decorating Guide help you get into the spirit and celebrate fall in all it’s glory. Whether you decorate one room or all of them , just remember to let your creativity show- there is no right or wrong way to do it as long as you’re having fun!